A hair salon where clients can come in and feel confidant about their consultation. Meraki Hair Studio stylists achieve the best possible outcomes for you. Rachel is a Clarksville native, beginning her hair styling career in 2008. Learning opportunities at New York City hair salons came quickly and spiraled her level of knowledge in the industry. After seven years, it was time to open a hair salon where clients feel confident about their styling service and leave knowing that no matter what, their hair stylists would always take care of them. At Meraki Hair Studio it is our mission to hold faithful to the meaning of the Greek word Meraki. We believe that when a hair salon does something with soul, creativity, and love they achieve the best possible outcome. Rachel specializes in blondes and corrective color. She is obsessed with the feel of freshly cut hair. From trimming without losing length to an all out weight loss, texturizing and shaping the hair makes all the difference! Make an appointment with Rachel by contacting Meraki Hair Studio today. Amanda is our northern-most stylist from Vermont. She has extensive training in balayage and specialty hair coloring techniques. She has made herself a highly sought after blonde specialist in Clarksville. Not only can Amanda cocktail colors to suit her clients needs, but she can also cut, shape, and style the hair so facial features are complimented. Amanda knows all the techniques needed to make her clients look their best including foiling, balayage, melting, and razor. Make an appointment with Amanda by contacting Meraki Hair Studio today. Jamie is a Maryland born, mother of two. After completing her Bachelors of Art, she decided to pursue a career in the hair and beauty industry. 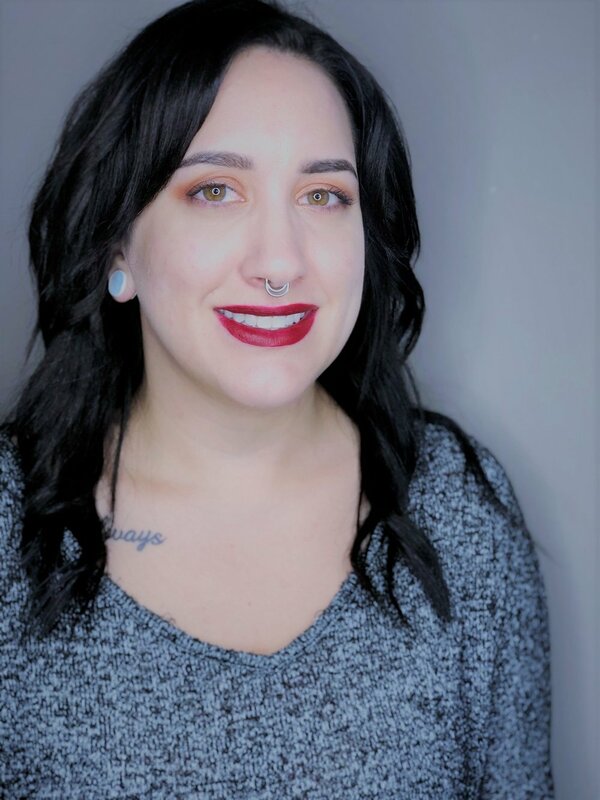 Her passion for creativity and the arts inspire her to bring out her clients’ vibrant personalities through the use of cutting, coloring, and makeup applications. She has a love for vivid hair colors and special effects makeup that make her a rockstar in the hair art industry. Let your true color shine by making an appointment with Jamie! Mae began her career at Paul Mitchell in Murfreesboro, Tn, continued in Nashville, and has found her place here in Clarksville. She has a natural gift in her abilities to make aesthetically pleasing overall looks. She enjoys making personalized, unique styles that compliment her clients’ individual beauty. Mae specializes in cutting techniques, blowouts, and color creativity. Book an appointment with Mae and get a truly personal and unique experience. Lindsy Wolke is an Illinois native who’s passion for adventure landed her in Clarksville. Lindsy went to Cosmetology school in Mattoon, IL. Lindsy specializes in creative color and styling. “Unicorn Hair” is her signature hair color. She is eccentric and upbeat and is always up for a challenge. She has been featured on Design Me’s Instagram page as well as Beauty Launchpad for her unique colors. Book an appointment with Lindsy and let her work her magic on you! Kristina has devoted over 14 years to her passion and career. She dedicates time to each of her clients to specifically tailor their styles to fit both their personalities and lifestyle; as well as enhancing and complimenting their features. Kristina is a skilled colorist, trained by award winning, Nicholas French in California, where she won awards for coloring. She specializes in highlights, balayage, ombre, color corrections, creative color, hair extensions, and hair cuts. Book today with Kristina, her lengthy experience does not disappoint!